The World Press Photo Foundation has announced the winners for the 2018 Photo Contest and its 2018 Digital Storytelling contest awards. [Graphic content below]. To find an exhibition near to your city, check their website. 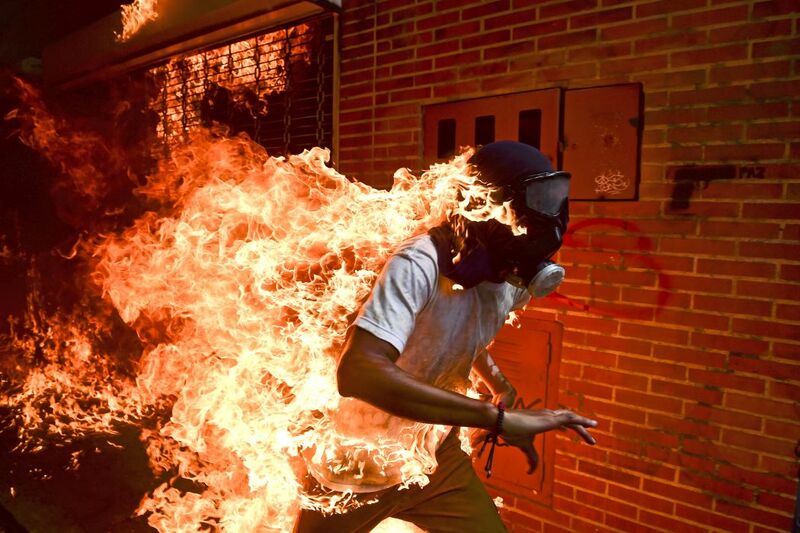 Venezuela Crisis, 3 May 2017 – José Víctor Salazar Balza (28) catches fire amid violent clashes with riot police during a protest against President Nicolas Maduro, in Caracas, Venezuela. Photo: Ronaldo Schemidt, Agence France-Presse. 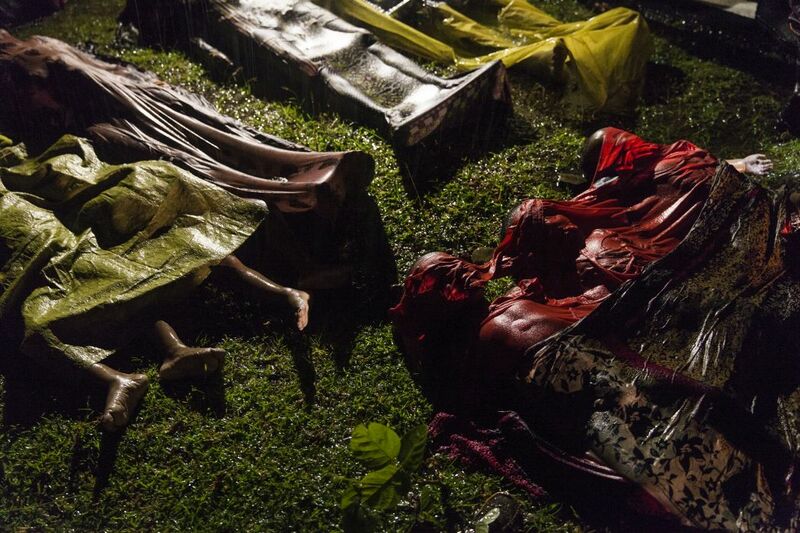 Rohingya Crisis, 28 September 2017 – The bodies of Rohingya refugees are laid out after the boat in which they were attempting to flee Myanmar capsized about eight kilometers off Inani Beach, near Cox’s Bazar, Bangladesh. Around 100 people were on the boat before it capsized. There were 17 survivors. Photo: Patrick Brown, Panos Pictures, for Unicef. Boko Haram Strapped Suicide Bombs to Them. Somehow These Teenage Girls Survived. – Aisha, age 14, 21 September 2017 – Aisha (14) stands for a portrait in Maiduguri, Borno State, Nigeria. 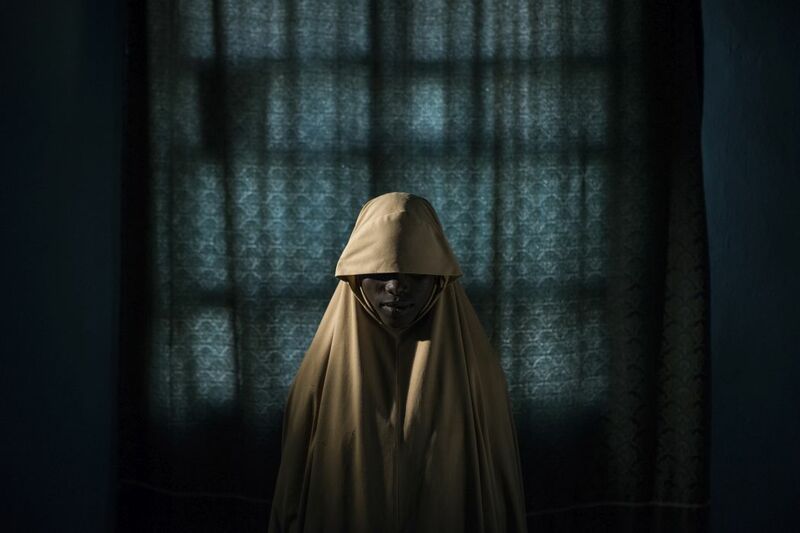 After being kidnapped by Boko Haram, Aisha was assigned a suicide bombing mission, but managed to escape and find help instead of detonating the bombs. Photo: Adam Ferguson, for The New York Times. 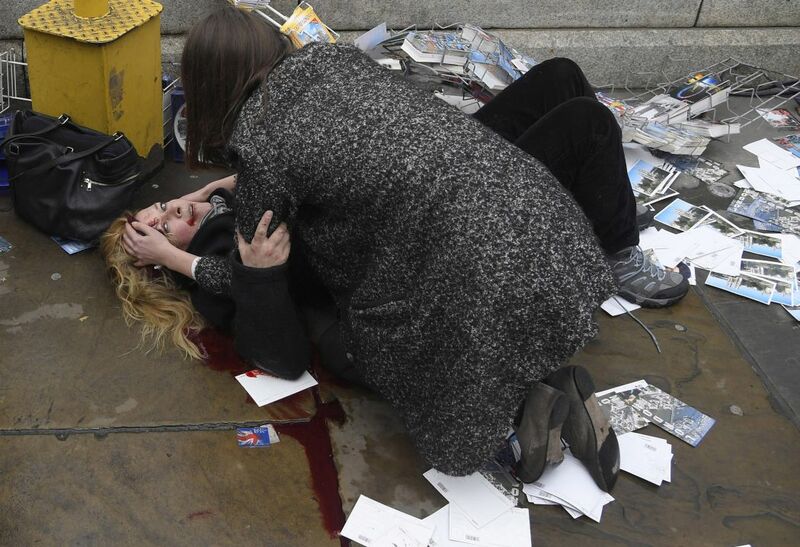 Witnessing the Immediate Aftermath of an Attack in the Heart of London, 22 March 2017 – A passerby comforts an injured woman after Khalid Masood drove his car into pedestrians on Westminster Bridge in London, UK, killing five and injuring multiple others. Photo: Toby Melville, Reuters. 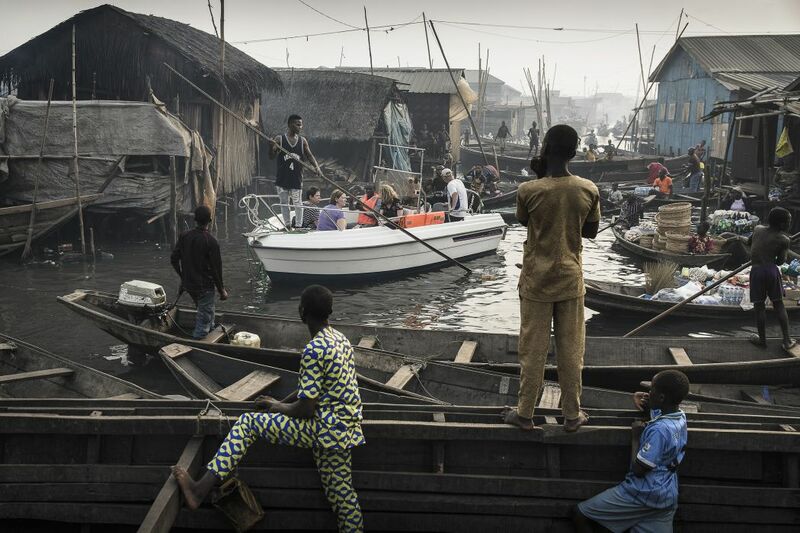 Lagos Waterfronts under Threat, 24 February 2017 – A boat with tourists from Lagos Marina is steered through the canals of the Makoko community—an ancient fishing village that has grown into an enormous informal settlement—on the shores of Lagos Lagoon, Lagos, Nigeria. Photo: Jesco Denzel, laif. Banned Beauty, 7 November 2016 – Veronica, 28, massages the breasts of her 10-year-old daughter, Michelle, as her other children watch. Veronica started to iron Michelle’s breasts seven months before this image was taken. 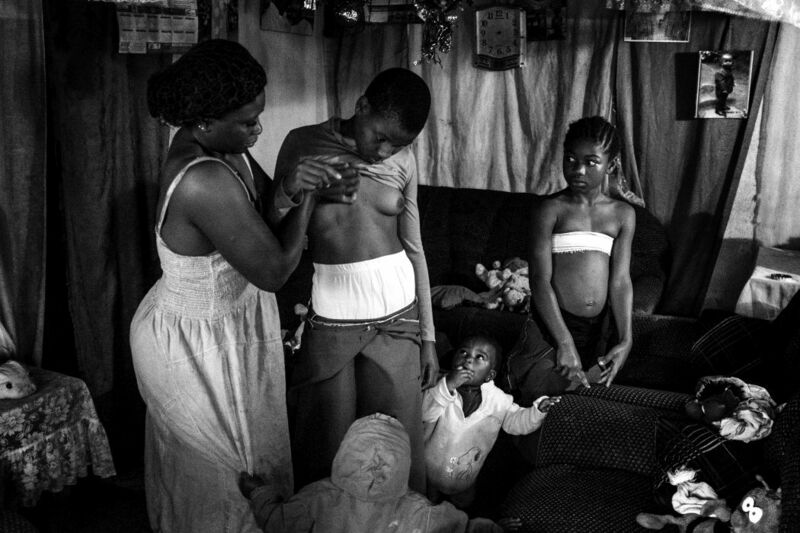 Her older daughter, not pictured, refused to have her breasts ironed and became pregnant at 14 years old. Nov 2016. Bafoussam, Cameroon. Photo: Heba Khamis. 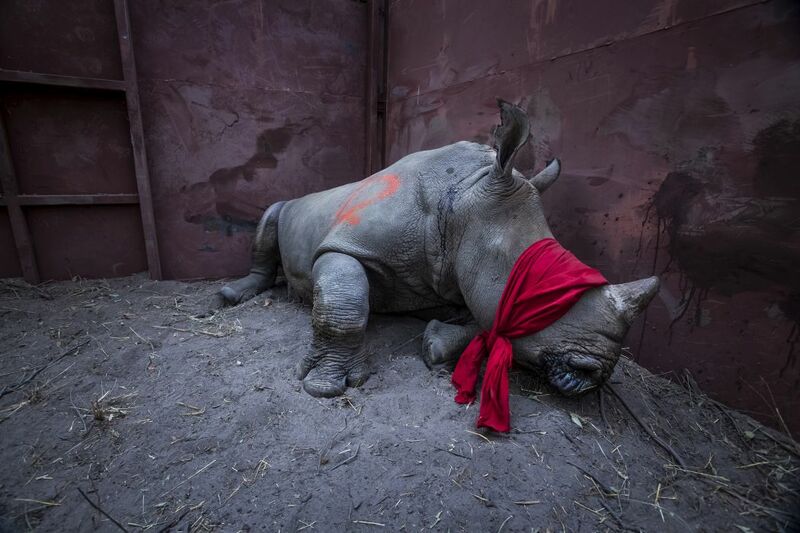 Waiting For Freedom, 21 September 2017 – A young southern white rhinoceros, drugged and blindfolded, is about to be released into the wild in Okavango Delta, Botswana, after its relocation from South Africa for protection from poachers. Photo: Neil Aldridge. 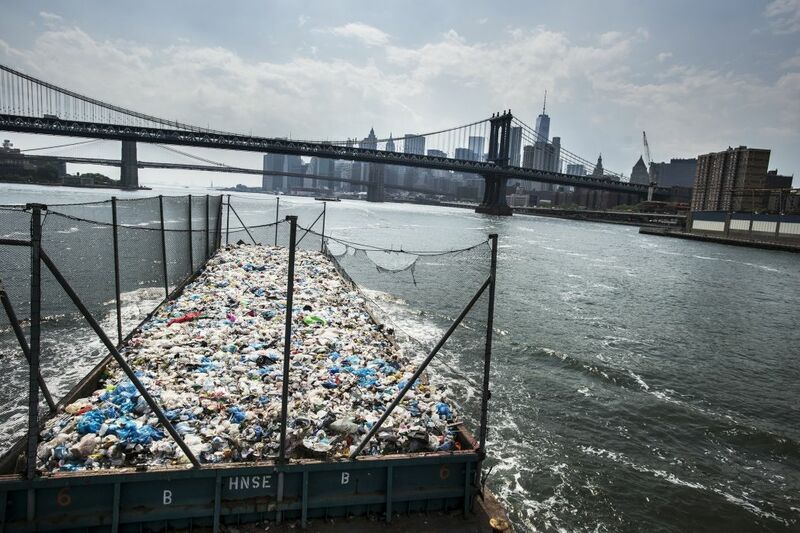 Wasteland, 26 May 2016 – A barge with more than 300 tonnes of mainly plastic is on its way from the Bronx to a recycling plant in Brooklyn, New York, USA. Until the mid-1990s, New York’s primary method of disposing of waste was to dump it at sea. Photo: Kadir van Lohuizen, NOOR Images. 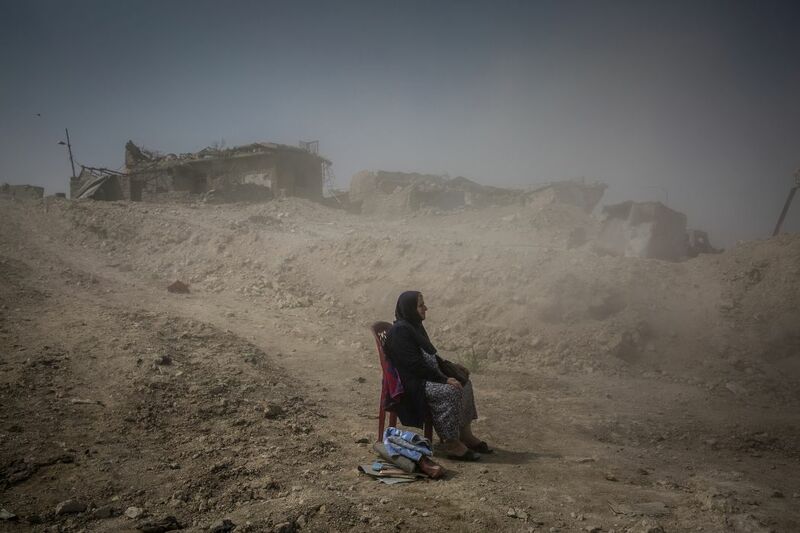 The Battle for Mosul, 16 September 2017 – Nadhira Aziz looks on after west Mosul had been retaken, as Iraqi Civil Defense workers excavate the remains of her sister and niece from her house in the Old City, where they were killed by an airstrike in June. She sat in her chair just meters from the site and refused to move, directing the driver of the excavator and shouting to men to retrieve items she spotted in the debris. Photo: Ivor Prickett, for The New York Times. Rohingya Refugees Flee Into Bangladesh to Escape Ethnic Cleansing, 20 September 2017 – A young refugee cries as he climbs on a truck distributing aid near the Balukhali refugee camp, Cox’s Bazar, Bangladesh. Photo: Kevin Frayer, Getty Images. Lives in Limbo, 15 January 2017 – Two Afghan refugees wash outdoors in Belgrade. Photo: Francesco Pistilli. 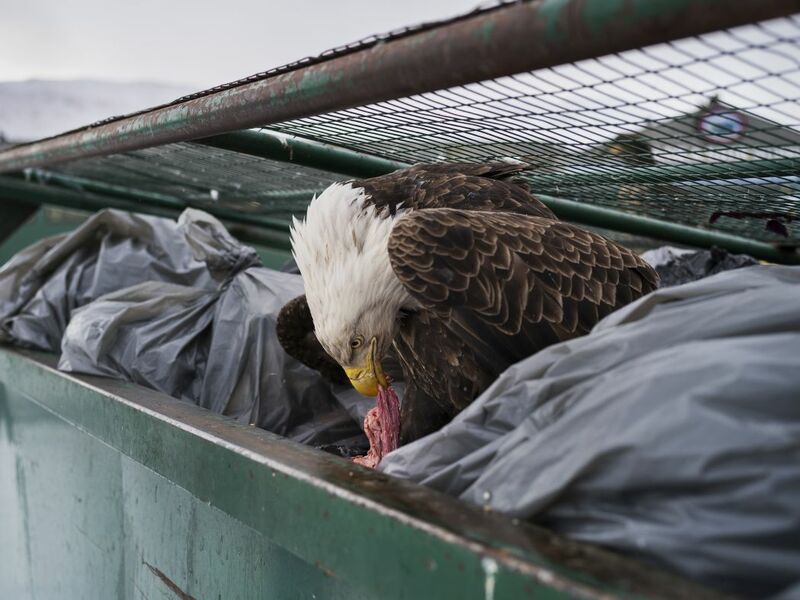 Dumpster Diver, 14 February 2017 – A bald eagle feasts on meat scraps in the garbage bins of a supermarket in Dutch Harbor, Alaska, USA. Photo: Corey Arnold. 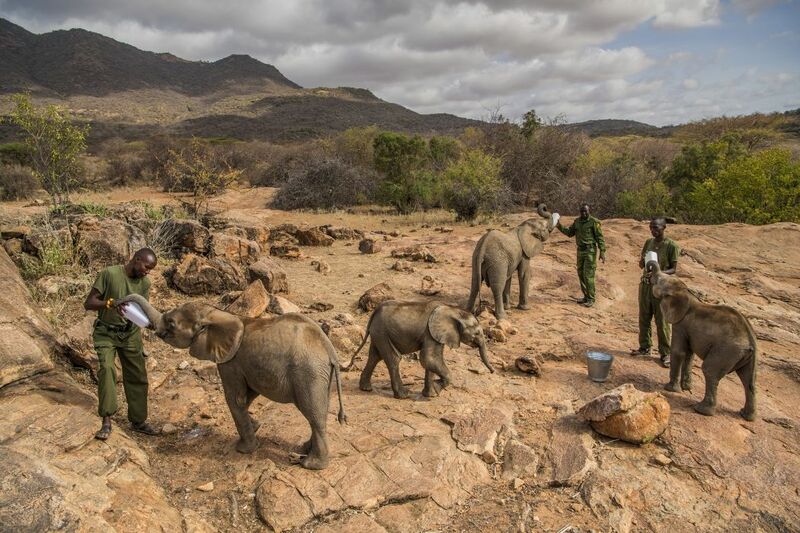 Warriors Who Once Feared Elephants Now Protect Them, 11 February 2017 – Keepers feed baby elephants at the Reteti Elephant Sanctuary in northern Kenya. Photo: Ami Vitale, for National Geographic. Resignation Syndrome, 2 March 2017 – Djeneta (right) has been bedridden and unresponsive for two-and-a-half years, and her sister Ibadeta for more than six months, with uppgivenhetssyndrom (resignation syndrome), in Horndal, Sweden. Photo: Magnus Wennman. 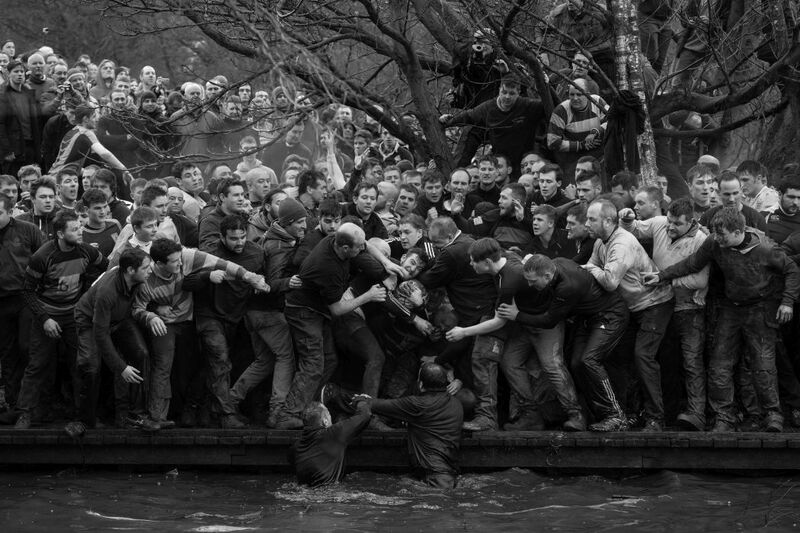 Royal Shrovetide Football, 28 February 2017 – Members of opposing teams, the Up’ards and Down’ards, grapple for the ball during the historic, annual Royal Shrovetide Football Match in Ashbourne, Derbyshire, UK. Photo: Oliver Scarff, Agence France-Presse. Steaming Scrum, 17 June 2017 – The British & Irish Lions and Maori All Blacks engage during a match at Rotorua International Stadium in Rotorua, New Zealand. 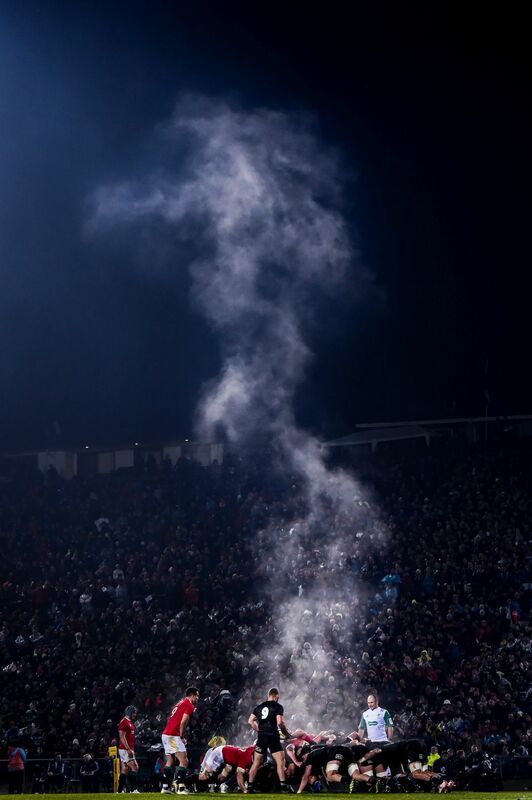 Photo: Stephen McCarthy, Sportsfile. 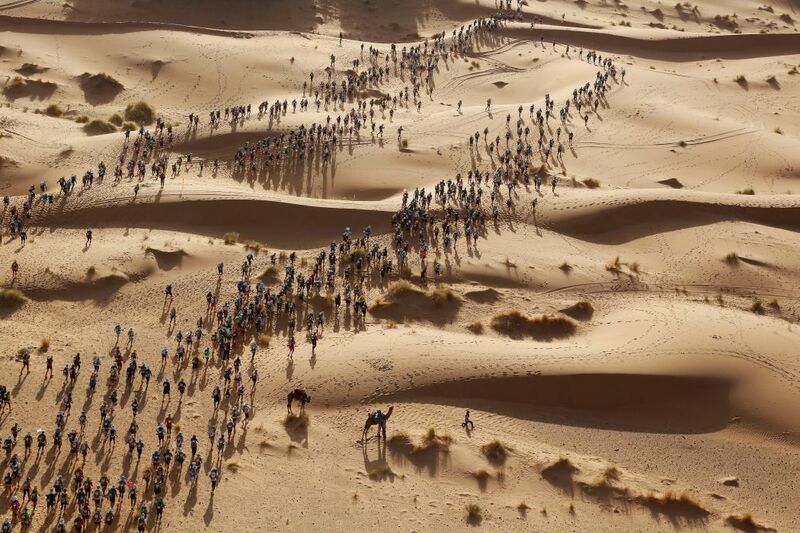 Marathon des Sables – Participants set off on a timed stage of the Marathon des Sables, in the Sahara Desert in southern Morocco. Photo: Erik Sampers. 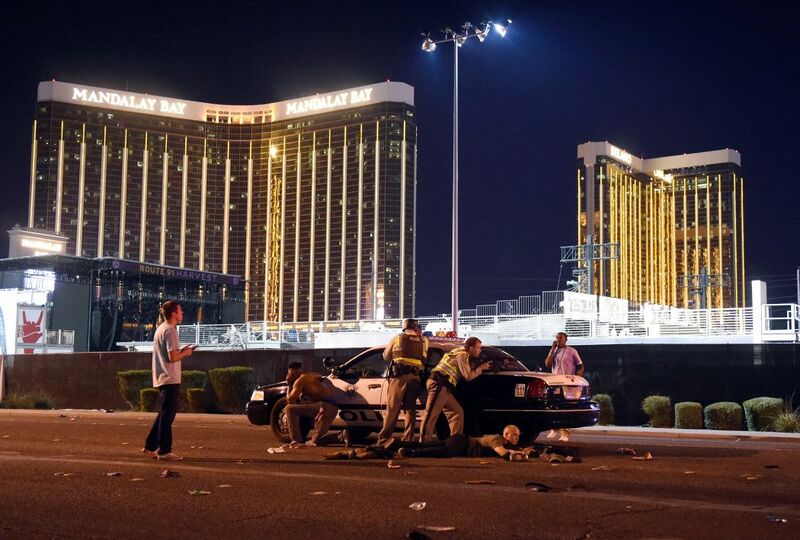 Massacre in Las Vegas, 1 October 2017 – Police outside the concert grounds after a gunman opened fire on concertgoers at the Route 91 country music festival in Las Vegas, USA. Photo: David Becker, Getty Images.